However beautiful your design is, however perfect the look for this season, however much other people say they want to make it, if the instructions don't read well or the sizing doesn't add up, then there is little point in publishing the pattern. That's where tech editing comes in. It's about both checking your pattern is accurate and sized correctly, and that the instructions are suitable for your intended user. I combine years of knitting experience and garment construction knowledge with professional publishing experience and skills. This means I have high quality standards, an analytical attention to details and numbers, and specialise in thinking about how your customer - whether a knitting novice or expert lace knitter - might think. I work for magazines such as Let's Knit, directly for independent designers and for designers working for companies. 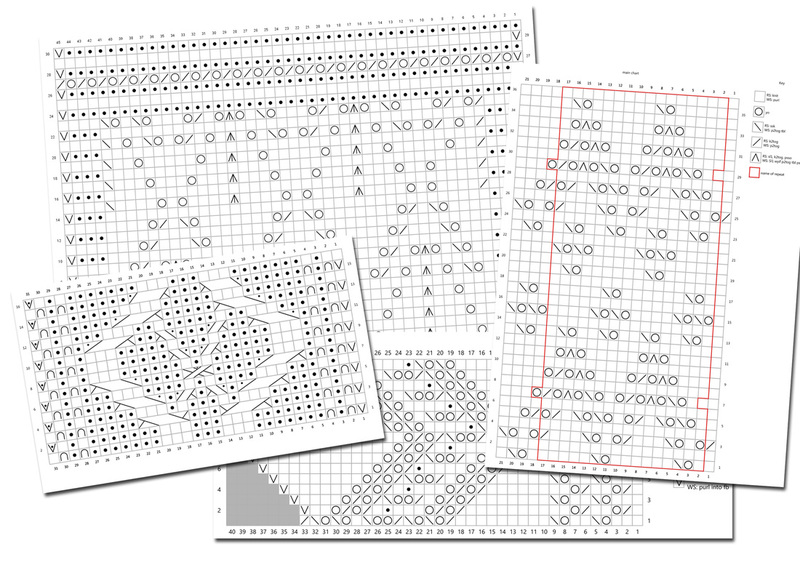 I can work on an existing pattern to grade it to other sizes or check it as below. Or I can take your sketch, measurements and swatch and create a multi-sized pattern to meet your specifications. Check that all yarns, needles and notions mentioned in the pattern are listed under materials. Check yarn quantities (and alternative yarns where appropriate). Review all instructions to ensure they are complete for making and finishing the project. And that they are clearly written with no opportunities for confusion over how the item is made. Check all stitch and row counts, and measurements, to ensure all instructions - including pattern repeats, increases and decreases - are consistent with the counts and sizes. Check all counts against gauge to ensure stated sizing is correct. Ensure that all abbreviations used in the pattern are listed in the key and that any specialist stitches are explained clearly. Contact me to discuss projects, pricing and services.